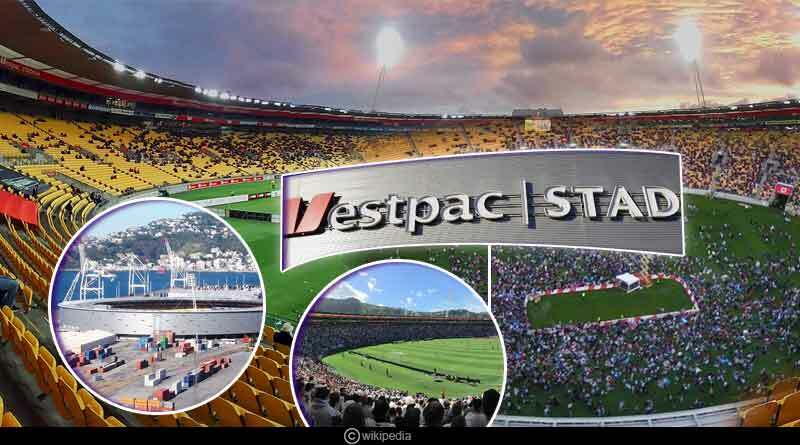 Having played a host to a plethora of matches over the last couple of days, the Westpac Stadium located in Wellington, the capital of New Zealand, is a marvellous sight to behold given its technologically advanced installations and the expansive concourses which can house 34,500 people. An innovate masterpiece, the multi-purpose stadium is not just a venue for cricket. Ever since its inception in 2000, the stadium has seen a hoard of sporting events feature on it, ranging from football, and rugby league and union matches, as well as entertainment events. The Wellington Regional Trust, the owner and operator of the facility began construction for the pristine waterfront stadium way back in 1998, making it one of the newer stadiums to be in existence in the gorgeous city of Wellington. The construction phase employed 250 workers on site, with an additional 230 staff offsite with work being carried out so efficiently that in December 1999 the stadium was fully finished and was opened on 3rd January 2000. The lavish design of the Westpac stadium sees it have a single, uniform seating enclave, with the 34,500 yellow capacity seats seeing no divide in between them. The exceptional structural design is divided into four elements namely the seating bowl, the exterior skin, the floating roof and the light towers with a thin 26m roof covering 70% of the seats, allowing for spectators to indulge in a truly enjoyable viewing experience even in extreme and harsh weather conditions. It is not just the lush green playing field that makes for a spectacle but the facilities prevalent at the venue that makes it a truly world-class venue, putting the experience of the visiting spectators at the forefront. The stadium includes two video screens, a sports medicine facility, 850 parking spaces and a function centre with 15 function spaces along with including gallery spaces for entertainment and cultural exhibitions. The stadium also houses a magnificent restaurant, offering viewers an absolutely exquisite and delectable range of dishes. Keeping in mind with the recent visit of the Indian team, the stadium is offering a plethora of gastronomical feasts, with the menu ranging from a full range of food and beverage options such as samosas, fresh chapattis and sweets. Over the years, the stadium has seen its fair share of enthralling encounters with the New Zealand national cricket team making it a true home. They’ve been in an effervescent form on the ground, almost unbeatable at the stadium, enjoying a heavy slice of wins, one that most recently stretches to five wins in their last 6 T20s, coming against heavyweights like India, England, Pakistan and West Indies. It’s a gem of a stadium, located in a city that has elevated itself over the years as one the finest places in the world to visit. A true sporting venue in all its capabilities, the Westpac Stadium is undoubtedly a truly exuberant venue to indulge yourself at. The recent redevelopment saw more than a 100 million dollars being pumped in to revamp and better the facility, making it a wonderful bowl in a city that is all so worthy of such a flourishing marvel piece. For more articles like Westpac Stadium: Sitting Proudly in New Zealand’s Capital, do Subscribe to our newsletter and follow us on Facebook, Twitter and Google+.